Teaching is a vocational and challenging profession that is frequently rewarding, but hard work at any time. However, having one disruptive child in a class can turn teaching into a nightmare. If a child is disruptive in class because they suffer from ADHD, teachers need to understand that the behaviour is not the child’s fault and a different classroom and teaching approach is needed to help them make progress at school. This article reviews how ADHD may impact a child’s learning ability at school, and what behaviours can be expected by teachers as a result of ADHD symptoms. When you consider that ADHD, or Attention Deficit Hyperactivity Disorder affects between 2-5% of children in the UK, the chances are that in an average class of thirty students, at least one of these children may have this disorder, whether it has been diagnosed or not. 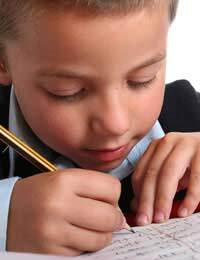 Inattention - where a child can’t concentrate, skips from task to task, frequently forgets instructions that are given to them, and is highly disorganised. Impulsivity - where a child can never wait their turn, has frequent outbursts of temper, and seems to consistently speak or act without thinking. Some children will show some symptoms more strongly than others, and may be classified as ‘predominantly hyperactive-impulsive’ or ‘predominantly inattentive’ or they may show a combination of both sets of symptoms. While every child can be expected to show signs of ADHD behaviour on occasions, a child with ADHD will behave badly consistently at home and at school, and will have shown these behaviours from a young age, and before they have reached the age of seven.It is important for teachers to understand is that the ‘normal’ teaching methods of addressing these behaviours, such as exclusions from class and public admonishment simply will not work in an ADHD child; in fact they are likely to make the behaviours worse. ADHD is a medical condition which is not caused by bad parenting or a lack of discipline, or even poor teaching. An ADHD child does not misbehave on purpose or for the fun of it (or at least not all the time). Instead their brain simply functions in a different way to normal children, and they need the assistance and understanding of teachers to help them learn new and appropriate behaviour, solve problems and get organised at school. A child with ADHD is not deliberately ignoring their teachers or their instructions. Instead, a child with ADHD will notice every small detail of what is going on around them in class. Every thought, noise and action turns into a bewildering stream of conflicting and unrelated information that distracts them from the task in hand. Unlike ordinary children, they cannot easily focus or distinguish the important information provided by a teacher from the background ‘noise’ of other distractions. Additionally an ADHD child will find it difficult to process and sequence verbal instructions to enable them to complete a task. Children with ADHD are not only distracted by external stimuli, they can also be affected by their internal thoughts. Whilst very useful in situations where creativity and ‘thinking out of the box’ is required, children with ADHD will rapidly get bored with a topic and find that their thoughts will leap from one topic to another, which often leads to an appearance of daydreaming and procrastination. The ‘Executive Functions’ of the brain are affected in children with ADHD; these are the higher functions of the brain that help a child to inhibit their impulsive behaviour and emotional outbursts. These functions are also involved in planning ahead, learning from past mistakes, or considering the consequences of individual actions. Because children with ADHD are always in trouble and struggle to complete tasks at school, they have a low self-esteem and very frequently have great difficulties making and keeping friends. To build self esteem, positive achievements must always be noticed. Bad behaviour should be corrected, but privately and on a one-to-one basis. Teaching children with ADHD is challenging, but all children can benefit from the specific and positive behavioural management and reward strategies that are required by children with ADHD. Understanding ADHD behaviours in the classroom is the first step for a teacher to manage them effectively. Specific written and verbal instructions will need to be given to break tasks down into a manageable sequence of events that any child can follow.